Lennox X8790 PCO14-23 Filter 20 x 21x 5 – Lowest Price! Lennox X8790 Healthy Climate PureAir PCO14-23 MERV 16 Replacement Filter 20" x 21" x 5"
DiscountfurnaceFilter.com is the web's #1 source for the Lennox X8790 MERV 16 filter. Order your Lennox X8790 MERV 16 filter today and receive fast, efficient, FREE Shipping on Orders Over $125 (Continental U.S.)! 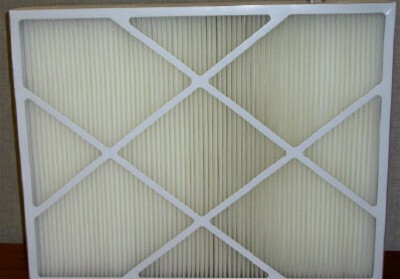 Lennox X8790 air filters fit the PCO14-23 PureAir unit. Filter dimensions: 20" x 21" x 5"
The Lennox Healthy Climate PureAir replacement furnace filter has MERV 16 pleated filtration to capture particles in the air stream. In most home environments, this Lennox X8790 filter only needs to be replaced every 12 months. With annual filter replacement, you help your system operate at its best and maintain high-quality indoor air. Remove contaminants from your home with Lennox X8790 air filters in your PureAir system. This is a wonderful service. I very much appreciate having an alternative to the HVAC service companies that charge at least 100% more. You're reviewing: Lennox X8790 - PureAir PCO14-23 MERV 16 Filter 20" x 21"x 5"